We run the Laughter Yoga Wellness Training Academy based in City of London and have 3-4 training dates per year in the city. We are almost always fully booked in advance as our training courses are very popular. We include an advanced training module as standard allowing those we train to leave feeling more confident than ever before. Our laughter yoga leaders are going on to do amazing work with laughter. We are registered and official trainers for Laughter Yoga International in India. 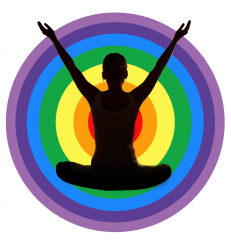 Next Laughter Yoga Training 9th to 11th May in London. Spaces are very Limited!! We made a decision to keep our class sizes small with a maximum of just 8 student places plus up to 2 refresher spaces for anyone wishing to refresh their training with us. Feel free to give Lady HaHa #ladyhaha a call or leave a message via http://laughteryogawellness.co.uk/contact/ if you require any other information about classes, private wellbeing workshops or laughter yoga training courses. We also specialsie in corporate wellbeing. 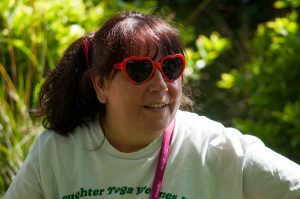 We run regular laughter yoga classes in London, North London and Central London. We can be found in Archway, Golders Green and Finchley N19 , N3 and NW11.